I did have one small finish this week- a table runner. 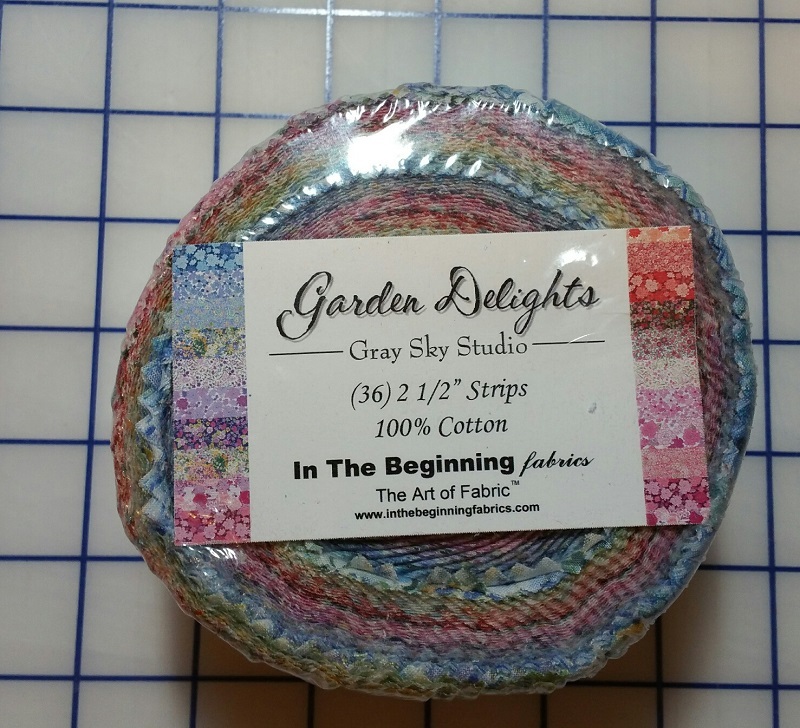 This pattern was quick and easy made with a focus fabric in the middle and 2.5 inch squares. I can see making this again in novelty and or seasonal fabrics. 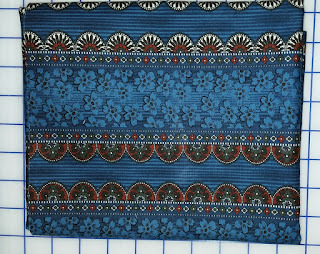 The pattern and fabrics were from Connecting Threads. 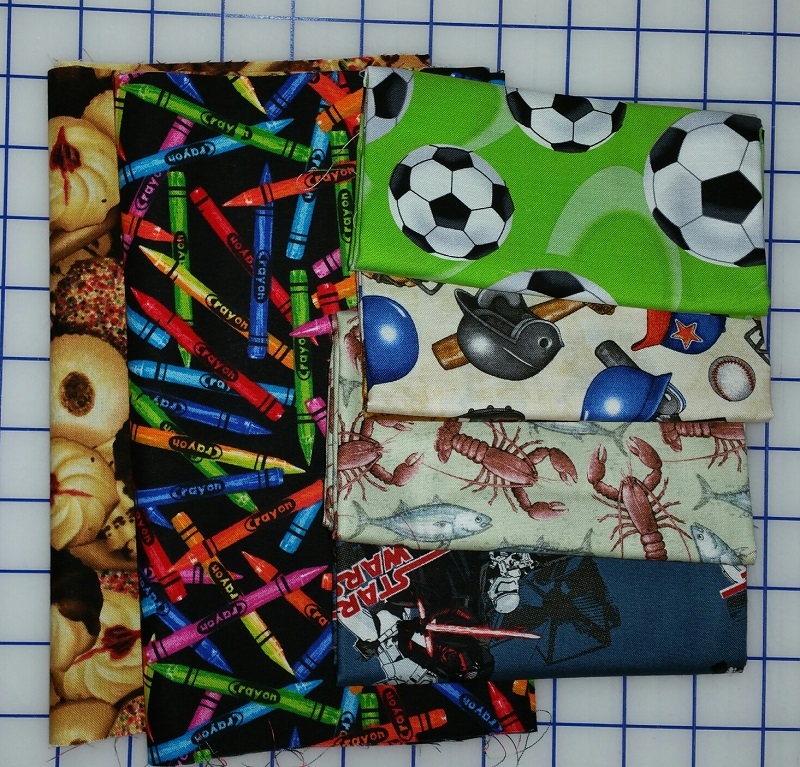 While on vacation I was able to visit Emma's Quilt Cupboard, where I picked up some great novelty fabrics for a future I Spy quilt. 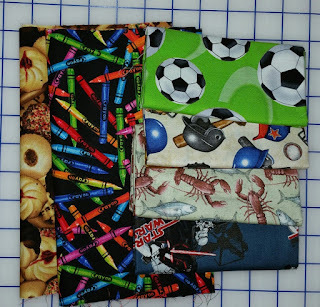 I also picked up this great stripe for my Lucy Boston Blocks. 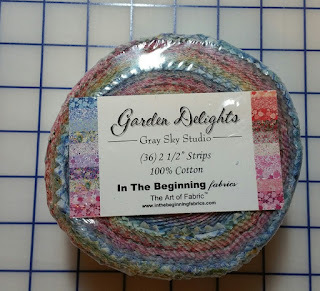 I could not pass up this roll of 2.5 inch strips from In the Beginning Fabrics. I have a plan for these for a future quilt. Below is the damage to the Stash Report! Hope to add to the finishes soon! 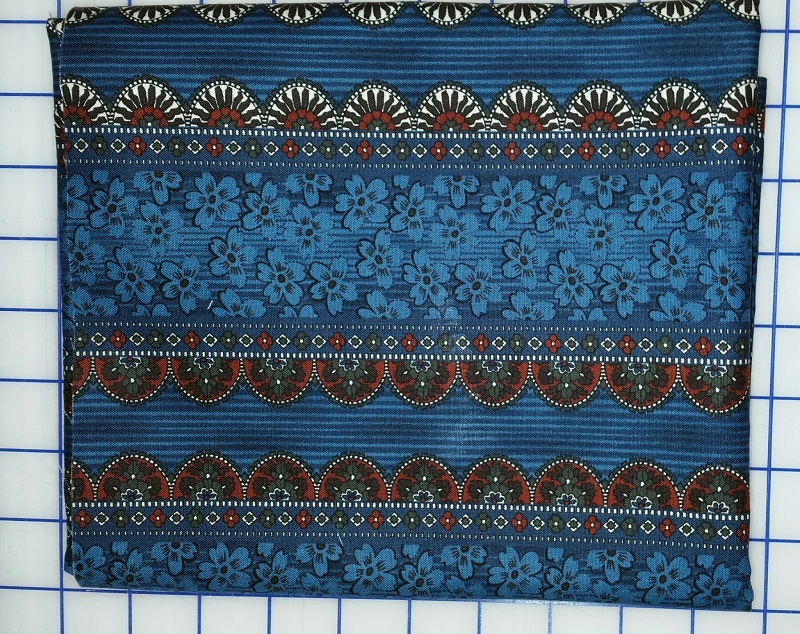 Net Fabric Used YTD: 47 yards. You did a great job on your purchases while on vacation. Like the I spy fabrics and really like the table runner. I am thinking about making a new table runner for a change in what I have now. 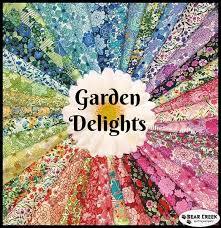 Good choice on the Garden Delights, Love the colors.